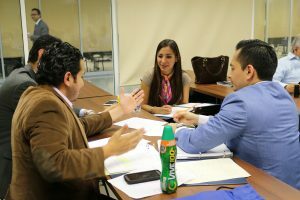 03/09/18 (written by Genesis Lopez) – Justice in Mexico’s Oral Adversarial Skill Building Immersion Seminar (OASIS) program held its second oral advocacy workshop of 2018 from February 23- March 3, 2018, working collaboratively with the Department of Law and Criminology (Facultad de Derecho y Criminología, FACDYC) at the Autonomous University of Nuevo León (Universidad Autónoma de Nuevo León, UANL) in Monterrey. 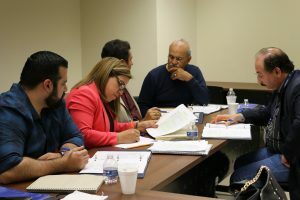 The OASIS program, funded through the U.S. State Department’s Bureau of International Narcotics and Law Enforcement Affairs, emphasizes oral litigation skills, which are provided through these workshops. 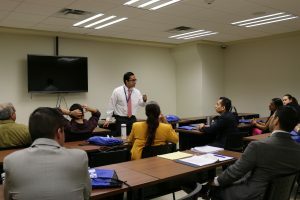 The extensive two-week workshop provided critical instruction regarding the oral techniques central to Mexico’s Criminal Justice System. 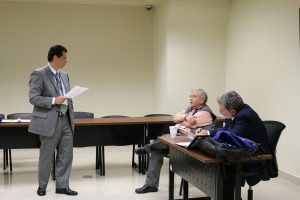 Approximately 85 participants, law professors and students from UANL, attended the workshop. 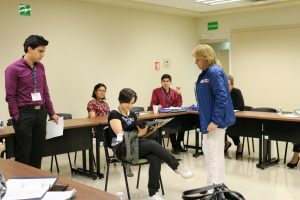 OASIS Training Director Janice Deaton led a diverse team of instructors from Colombia, Mexico, and the United States. 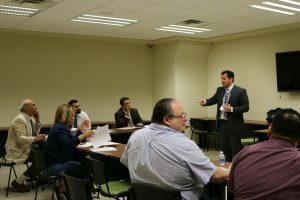 These instructors included: Christopher Pastrana, Bertha Alcalde, Anthony Da Silva, Jorge Gutiérrez, Michael Mandig, Albert Amado, Adriana Blanco, Carlos Varela and Iker Ibarreche. Theory of the case: The strategy behind the decisions and actions a lawyer takes. This assists the participants in making strategic decisions, which help solve a case. Opening Statements: Understanding the importance opening statements have in regards to the trial, specifically the jury. Participants learned how to prepare and present an effective opening statement. Interrogation: Establishing the credibility of the witnesses, laying out the scene, and introducing the events that took place in relationship to the case. 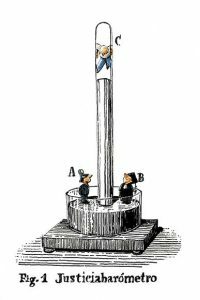 Cross-Interrogation: Questioning of a witness where the opposing party looks to discredit their testimony and credibility. Introducing Evidence: Determining whether or not the evidence one wishes to present is real, testimonial, demonstrative, or documental. Use of Depositions: Understanding how to utilize previous statements, especially to refresh a witness’s memory during trial. Closing Statements: Reiterating the important arguments, theories, and evidence that are relevant to the case. Participants learned how to structure their closing arguments and strengthen their communication skills. At the conclusion of the workshop, the participants attended a plenary session on ethics and applied the skills they learned in a mock trial. The simulation was designed specifically for the OASIS program and gave the participants the opportunity to showcase what they earned over the course of two weeks. They adopted specific roles and the instructors acted as judges, overseeing the trial and providing feedback. At the closing ceremony, the FACDYC Director, Oscar Lugo Serrato spoke with Justice in Mexico’s Program Coordinator, Octavio Rodriguez and discussed the importance of practical trainings like the OASIS workshop. They also discussed the significance of bi-national relationships between universities. The next OASIS workshop will take place at the (Universidad de Guadalajara, UdeG), ­­­from April 13 –April 21, 2018. 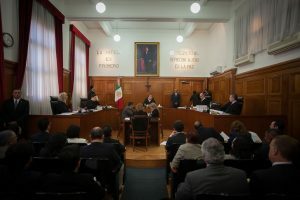 11/22/17- On Thursday, November 16, 2017 the Justice in Mexico program welcomed a delegation of Mexican law professors and experts sponsored by the U.S. State Department and hosted by the San Diego Diplomacy Council and offered a presentation of the results of the 2016 Justiciabarómetro survey of Mexican judges, prosecutors, and public defenders. The State Department-sponsored visit was organized by the San Diego Diplomacy Council through the Global Ties network. The delegation comprised a group of twenty law professors, judges, researchers, and administrators from several institutions located in ten different states throughout the country, including law schools and graduate degree programs. 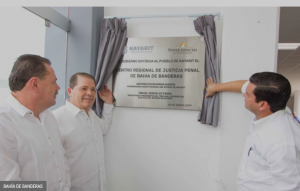 On behalf of the Justice in Mexico program, David Shirk and Octavio Rodriguez presented a PowerPoint presentation of the results of the 2016 Justiciabarómetro survey of Mexican judges, prosecutors, and public defenders. A full list of the members of the delegation is provided below. 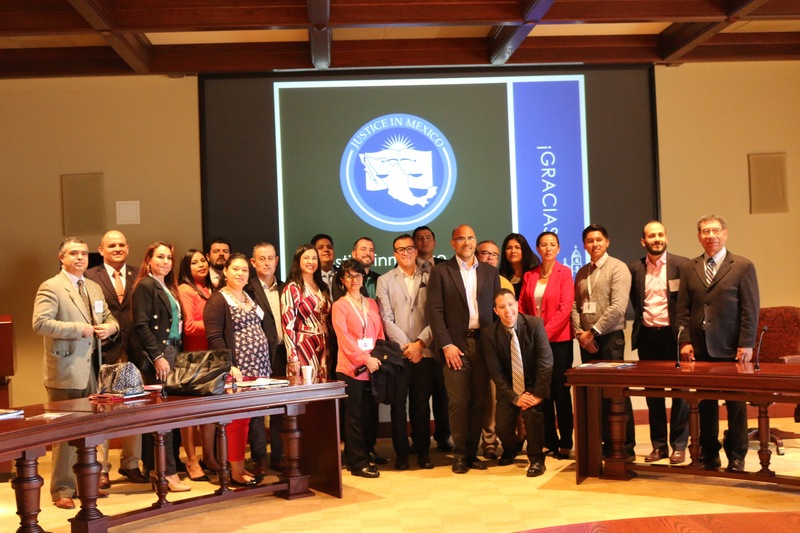 The Justiciabarómeter is an innovative diagnostic tool for analyzing the criminal justice sector through the eyes of the professionals who serve in key positions within the system, including judges, prosecutors, public defenders, and police. Members of the delegation were especially interested in the research methodology and raised several questions about the findings, which generally noted the increased support among judicial sector professionals for the country’s transition to a new oral, adversarial model of criminal procedure in 2016. 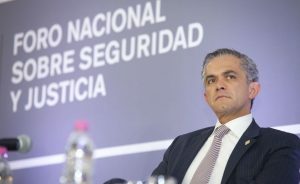 Universidad Autonomá de Baja California (UABC) delegate Jorge Díaz Zazueta, who collaborated with Justice in Mexico for the implementation of the survey, noted that the Justiciabarómetro provides invaluable policy insights on the Mexican criminal justice system. 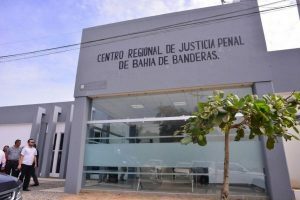 Specifically, he noted, the survey results were useful in identifying areas of need for further training of judicial sector personnel in the state of Baja California. The delegates also made several suggestions for future iterations of the survey, including the possibility of partnering with their home institutions to replicate the survey with other criminal justice sector operators in 2020. Overall, the visit provided an important opportunity to share the results of the study and allow a fruitful exchange of ideas among experts working to improve Mexico’s criminal justice system.